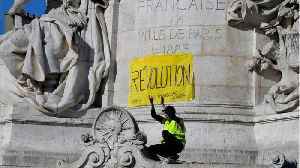 The Paris prosecutor’s office has launched an investigation into allegations that Yellow Vest protesters assailed police over the weekend with taunts urging officers to kill themselves. 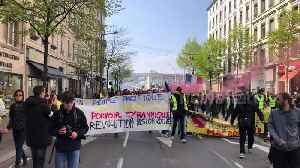 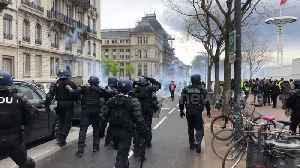 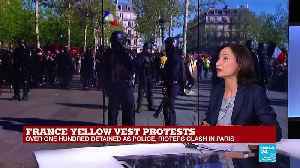 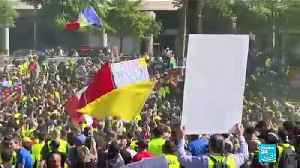 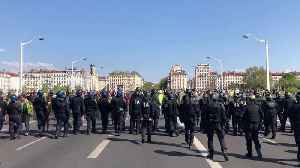 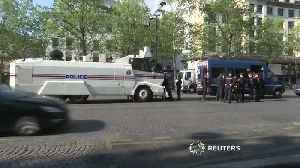 ▶ Videos for "Yellow Vest"
Yellow vest protesters clashed with police in Lyon on Saturday during a march through the French city. 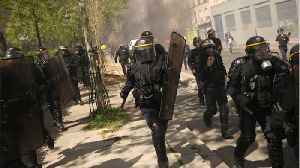 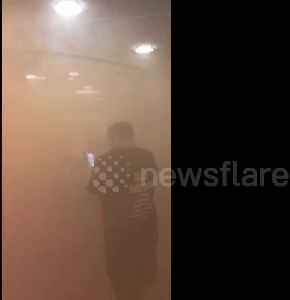 Yellow vest activists let off smoke bombs at a police station in north London on Saturday afternoon (April 20). 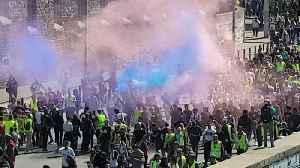 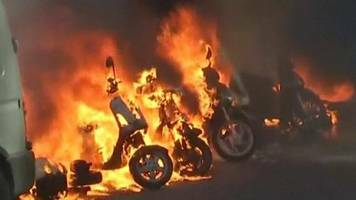 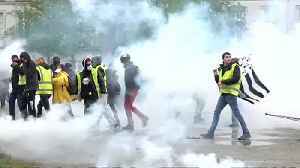 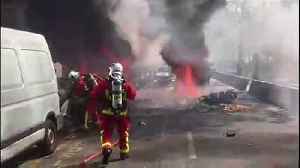 Yellow vest protesters set fires along a march route through Paris on Saturday (April 20). 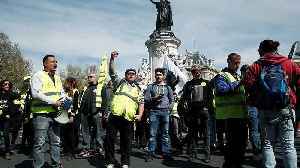 For the 23rd consecutive weekend, "yellow vest" protesters marched in central Paris on Saturday. 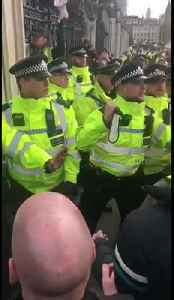 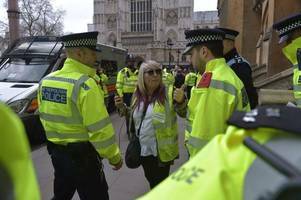 Police outside the UK Parliament clashed with yellow vest protesters today (April 13). 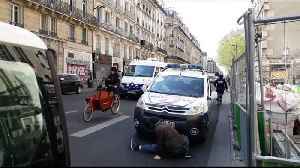 This is the bizarre moment a man broke into dance in front of a police car during a yellow vest protest in central Paris on Saturday. 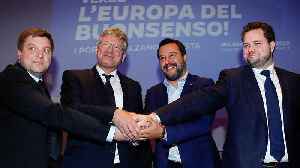 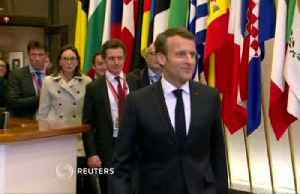 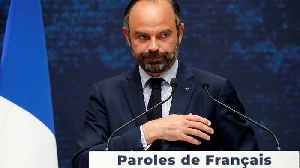 French President Emmanuel Macron was throwing his weight around at the latest EU summit; fighting a largely solo battle against a longer Brexit delay. 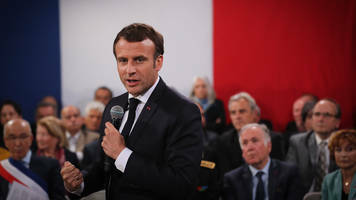 No one doubts he's a devout Europhile, but some..
Yellow vest demonstrators clashed with riot police in the French city of Toulouse on Saturday, even as President Emmanuel Macron prepared a series of policy announcements aimed at quelling 22..
President Macron's "great debate" shows that tax cuts are necessary, the prime minister says. 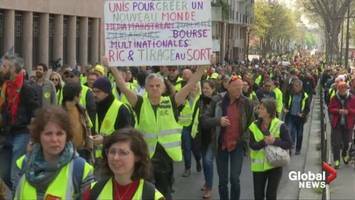 Thousands of demonstrators took to the streets of Paris and other French cities on Saturday for a 21st straight weekend of anti-government "yellow vest" protests, but turnout was sharply lower than..
Thousands of demonstrators marched in cities around France on Saturday for a 20th weekend of "yellow vest" protests, but numbers were lower and clashes with police sporadic. 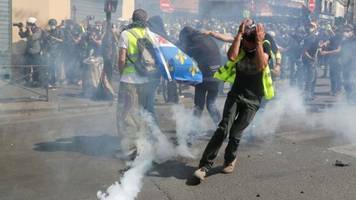 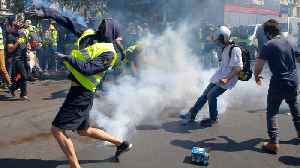 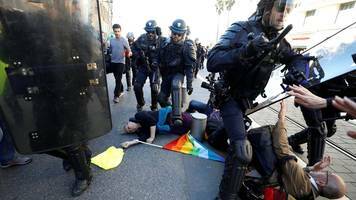 Police fired tear gas at demonstrators in Paris and clashes broke out in other French cities on Saturday, the 19 consecutive weekend of "yellow vest" protests against President Emmanuel Macron's..